Every day, thousands of consumers invite us into their home. From a history that includes NASA research and innovation by "Swedish scientists", came the original alternative mattress. 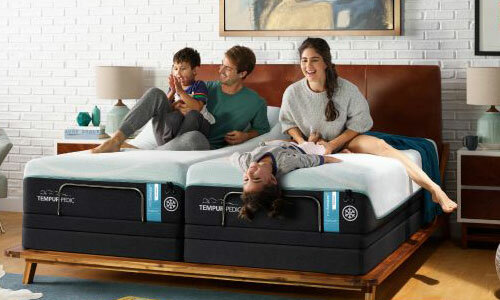 Tempur® material uses body-conforming support and comfort to deliver your best night's sleep. With manufacturing facilities and offices across the globe, Tempur® brings body-conforming support and comfort to countries around the world. Providing a better night's rest for over 130 years, Sealy® provides the ideal blend of comfort, support and value. 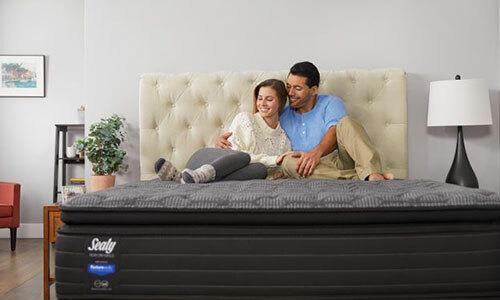 Sealy® makes mattresses that people love, from a name they trust. Crafted from the highest quality materials from around the world, to produce one of the most luxurious mattresses on the market. Stearns & Foster® mattresses are made to stand the test of time.